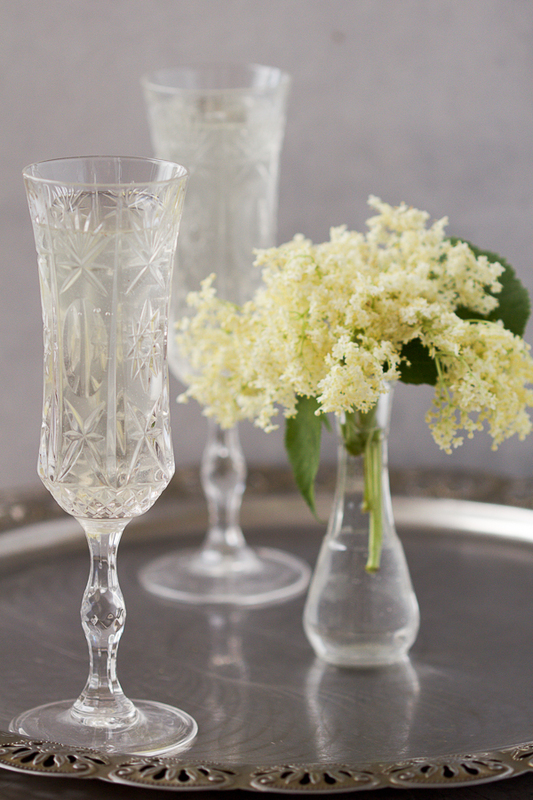 Elderflower cordial (aka zova) is an invigorating, and fresh, homemade juice made from the elderberry tree flowers. 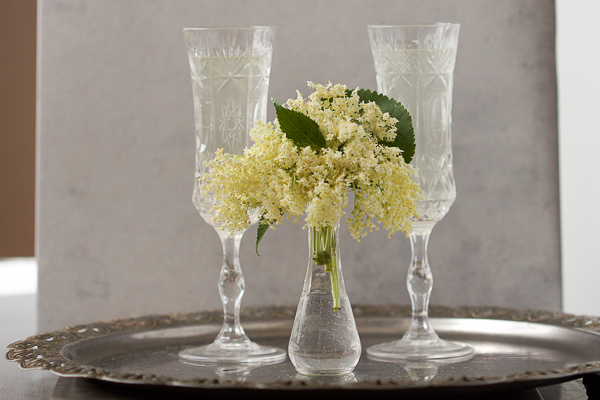 If you find regular juices too heavy and water too light, then the elderflower cordial is the drink for you. When the elderflower (zova) blossom pokes its head around late spring, batches and batches of its flowers are sold at farmers’ markets. You can’t miss them. Tiny specs of flowers arriving in style; hundreds of them sit on one branch. All look just the same, all are light yellow, all leave a yellow trail on your hands if you don’t pick them up right. The elderflowers are hungry for attention and hungry for water. So if you buy them only to brighten up your home, put them in water and place in a nice sunny spot immediately, so they don’t die from all drama that accompanies them. By now you may ask yourself why is everyone here crazy about this pungent little yellow dwarf? Because the cordial, or fruit infused juice, made from these flowers is delicious. And it reminds everyone the warm period is ahead. Long summer days, days so hot you can’t leave home from 12-4, and nights perfect for those dresses that have been hanging in the closet for so long. Elderflower cordial drinking is just what you do around this time of year in Sarajevo. You drink it along with lunch, and with dinner, and in between. You drink it to nurse a hangover. And for the health benefits. 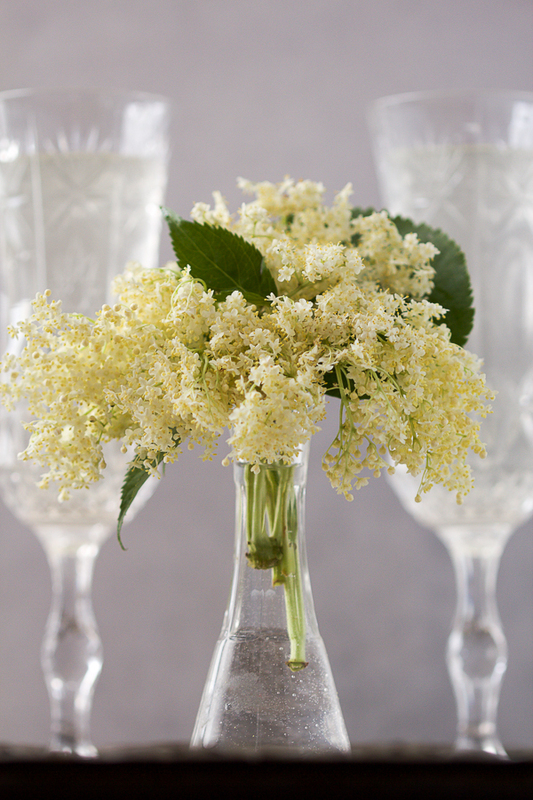 The elderflower cordial we’ll be making today takes a little while to make, and it comes out in a syrup version. Meaning you’ll sip two, three tablespoons of it into a glass and top it off with your choice of regular or mineral water. The recipe for today was generously donated by my cousin, Dj. She is an excellent cook, and knows how to make magic out of just a few ingredients. 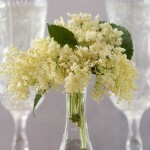 Her recipe is somewhat different than most elderflower cordial recipes, as it does not employ boiling water to make the syrup. Instead there are a few overnight waiting periods for the juice to form. P.S. We’ve done other, interesting beverages before. Do you remember sour cherry liqueur? Or the juniper berry juice? If you don’t feel like fermenting drinks, how about some white wine lemonade? 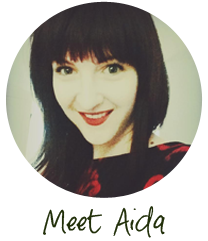 Here is the second part of the story that follows my life… Read the first part here. Officially, an immigrant is an individual who leaves their country to settle in another, and a refugee an individual who leaves their country because their life is in danger. Unofficially, immigrants have time to deliberate on the choice, sometimes even a couple of years to think it over, while for refugees it’s sometimes a decision that has to be made in minutes. You want an honest definition though? A refugee is a lot like being an immigrant’s immigrant. And we came to the US as refugees. It’s was a tough ordeal at first. But refugees aren’t supposed to complain because we were given a chance. Like free shoes – if you take a pair, you can’t complain about the fit. It wasn’t the lack of understanding that was hardest at first, but a lack of interest. Still, I thanked my lucky stars it was the US we came to. I figured, sure, Marlboro man doesn’t give a damn! But he knows it’s a country of new people. Even the oldest of the oldest families, those Lewis and Clarks, are only a few generations in. Several at most. So I never felt afraid of not fitting in. And for the entire stay in the US, during the hard times and the good, I never felt like a second class citizen. Different? Sure. Very different. Sometimes. But a second class citizen? Never. Meanwhile in Europe, a lot of Bosnians (and refugees from elsewhere), never achieved this equality in countries they came to call a second home. Sure, the US did not have the plethora of benefits most European countries (Sweden, Norway, Germany), provided (and in some cases still provide), to refugees. But from the stories I heard, a lot of people still don’t feel equal in these lands they’ve now spent a couple of decades in. But I guess that’s the American way. You’re given a chance. You can be weird. You can be strange. You can be completely normal. Regardless, you are thrown to the wolves until you learn to earn your piece of bread, prove your worth. This is true for everyone, US born or not. Maybe that’s why refugees who come US feel at home more than the refugees that go to Europe. Because they fight for their piece of West with teeth and everything they have. This process makes them a loyal part of the team. Similar to getting into a fraternity, or a sorority. There’s a whole lot of harassment, disregard, and humiliation – mental and otherwise – but once you prove yourself you’re in for life. Not a kind strategy, but it works. We got processed through JFK, and whisked away in a bus through Manhattan to a different airport. We got a glimpse of the urban jungle we remembered from the movies. The noise, the crowd, the rush were entirely perfect. Unfortunately, it wasn’t our final stop. From there we flew into DC on that late, lazy, summer night donning a tulle of humidity. My uncle, who arrived to the US a couple of years earlier, waited for us at the airport. He was older and more weary than I remembered but happy to have us come. Before he took us to our new home we asked him to drive us around the city. Although exhausted, we needed to feel this geography. We needed to walk outside the car, and let our feet touch the ground so we could be certain this was a real place, and that tomorrow morning we would not once again be awakened by gunfire. Alas, the following day, after many Ginger Ales, a colorless Pepsi I called it, as I was looking through a Washington DC map – finding that the street of Mary Lynn was not there at all, nor in Alexandria where it claimed to be, but deeper, in a county of Fairfax, the state of Virginia – learning that we were in what is called the suburbs (not a village, not a city), I realized life was no less complicated on this end of the world. Once again I found myself in a castle that was not in the sky, nor on the land. 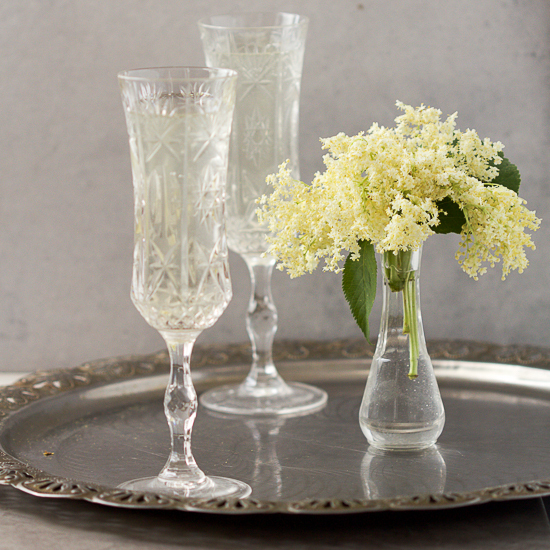 Place the elderflower heads (each is about the size of a hand) into a large bowl and cover with 16 cups of water. Leave for 24h. The following day add 16 cups of sugar and 1 tablespoon of citric acid to the flowers in water. Leave for 24h, but stir well a few times during the day. On the third day, strain the juice through a colander into a different bowl. Once you’ve strained the liquid, also squeeze flower heads really well to get all the liquid out of them. Discard used flower heads, add the remaining citric acid and a juice from one lemon to the syrup. (Here you can taste the syrup to see whether the acidity versus sugar combination is to your taste. Based on this, decide how much citric acid and lemon juice to add.) Stir really well and let sit for one hour. Heat oven to 250F, and wash about 4-5 glass bottles (each of 1 liter or 4 cups in volume) in soapy water. Rinse well, and pat dry. Place on a thin pan and place in the oven to dry completely thus sterilizing them in the process, for about 15 minutes. Carefully take the bottles out of the oven, and strain the syrup from the bowl into the warm bottles. This will be the second time you’ll be straining the syrup, so this time use a gauze (or a tea strainer) to strain the syrup through. Leave bottles in cool place. The syrup juice can last up for a few weeks if held in a cool place (or fridge). Once ready to serve, put three or four tablespoons of the syrup into a glass and top with regular or mineral water. If you want a smaller volume of juice, halve the ingredients. The process stays the same. Blago tebi kad si je našla….ja je ovde nisam nigde videla, ili je ne raspoznajem a tako bih volela da napravim taj sokić…ma izgleda da me drma nostalgija i posle 42 godine provedenih u Kanadi. Videla sam je kod jedne žene u dvorištu i pitala sam je da mi da mali izdanak zove i žena mi dade, e sad, koliko će proći dok moja zova poraste i cveta, tek joj je druga godina i još uvek je mala a dotle ću uživati u ovim tvojim prelepim fotkicama a tebi neka je u zdravlje ovaj napitak.